In Washington state, where in the last few years a new boutique winery has opened quite literally every two to three weeks, winegrowers certainly have their work cut out for them. Luckily, the lush viticultural landscape, with various microclimes and extremely fertile soil creates the perfect atmosphere for grapes. About 350 vineyards prosper easily in Washington, supporting roughly 500 or 600 individual wineries. Our central location along the north shore of the Columbia gives us easy access to nearby wineries, restaurants, pubs and unique shops. Discounts and packages, come see. Aniche Cellars is a small family winery located in the beautiful Columbia River Gorge. Best View in the Gorge!! Award winning winery in the Columbia River Gorge. Fine red wines produced from this estate vineyard. Domaine Poullion is a premier, family-owned winery located in Lyle, Washington. Host your events in the beautiful Gorge Crest Winery! A variety of hosting options for any occasion! Enjoy a decadent wine from the selection. Come enjoy the taste of consistently wonderful wine at this Washington winery. Wines produced from three vineyards tucked between Mt. Hood and basalt cliffs. White Salmon Vineyard offers the finest wine from Columbia River Gorge. They deliver across the United States. It should come as no surprise to those familiar with Washington State's award-winning wines that much of its wine-growing regions exist on the same latitude as those famed Burgundy- and Bordeaux-producing areas in southern France. 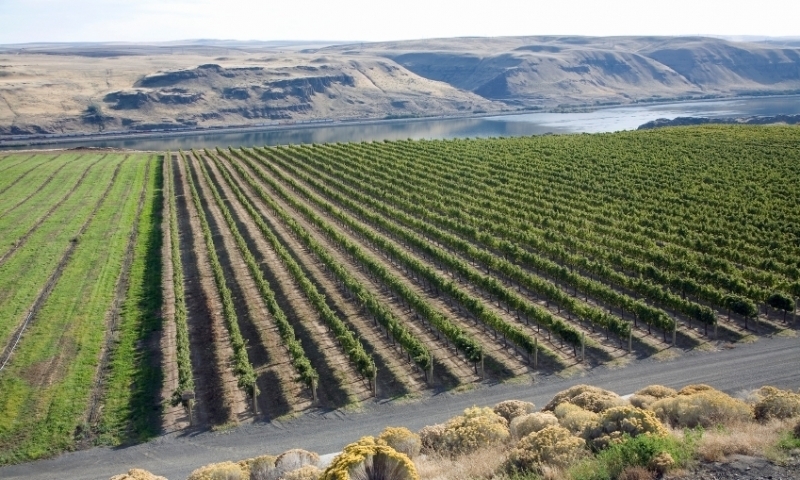 Second only to California in wine production in the United States, Washington vineyards occupy 31,000 acres in 9 federally-designated appellations, or A.V.A.s (American Viticultural Areas). These beautiful and incredibly productive vineyards yield over 20 premium varietals, including award-winning Chardonnay, Riesling, Merlot, Cabernet, and Syrah. Overall, Washington State yields about 44 percent in reds and 56 percent whites. The Hudson's Bay Company planted the first grapes for wine production in Washington at Fort Vancouver in 1825. Over the next hundred years, Washington experienced the first attempts at large-scale irrigation, and winegrowing flourished in various parts of the state, though exclusively for personal use. The Columbia River Valley Grape Carnival, founded in 1910 along the southern border marked the beginning of widespread Washington wine fever, and, by the 1960s, commercial wine production became a reality. As a result, wine lovers everywhere can appreciate the now $3 billion industry, one glass at a time!